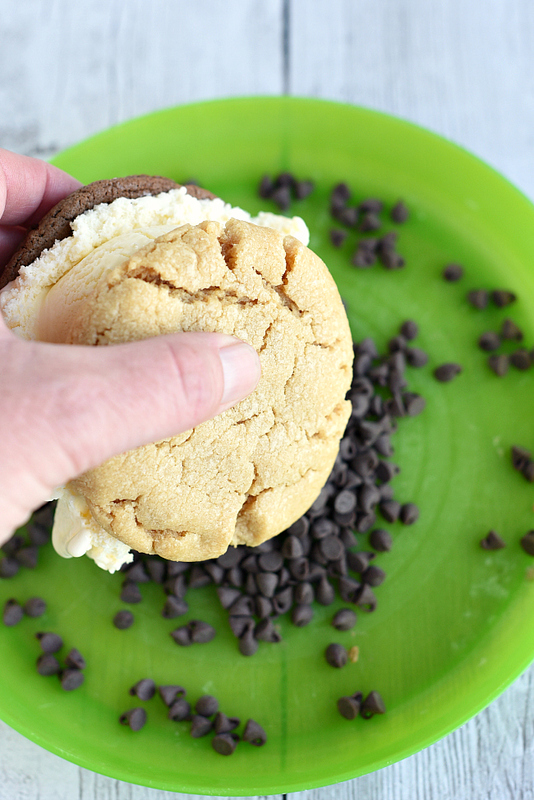 These yummy and easy ice cream cookie sandwich are so simple to make and are a great summer treat…with a twist! Put them on a stick to make them extra fun for the kids. And shake up the cookie flavors and ice cream flavors to make a wonderful dessert for everyone to enjoy. 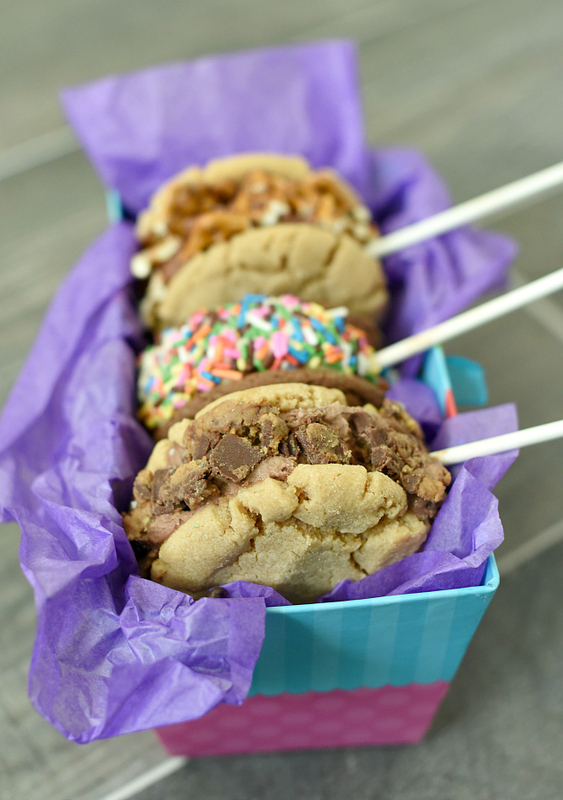 Set your ice cream out to thaw a little and make sure your cookies are thawed as well if you froze them. Grab two cookies (and they don’t have to be the same flavor). Take a scoop of ice cream and place it on one. 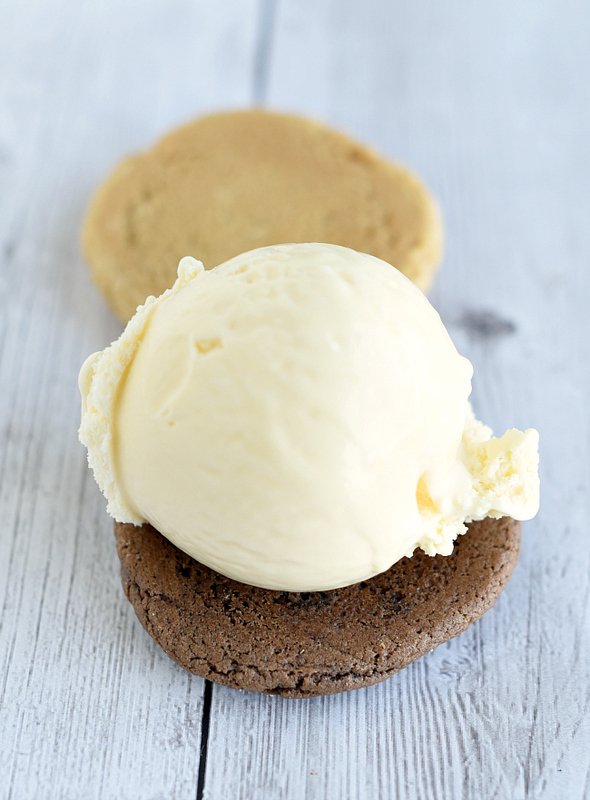 Then place the other cookie on top and press down until the ice cream reaches the edges. Then roll it in the topping of your choice. Stick a popsicle or sucker stick in it if you want to make it extra fun! 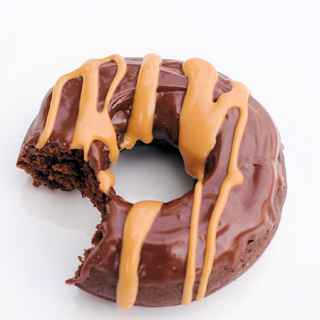 Now you can eat these right away or you can refreeze them and eat them later! I keep getting so excited about warm weather and sunshine and summer and being outside…and then a yucky, rainy, cold day keeps showing up! But, when the warm weather does show up, I want to eat yummy treats with my kids sitting outside on my deck and enjoy the warm summer nights. And this is an absolute favorite with my kids and in our family. 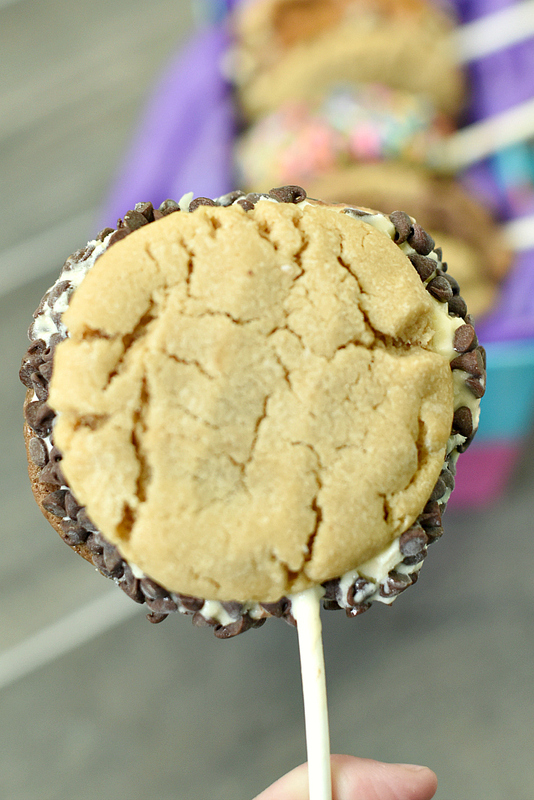 We love to make an ice cream cookie sandwich (this time on a stick) for any celebration or just any day! 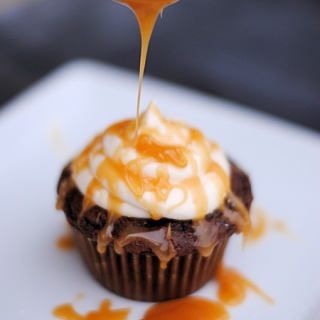 They look amazingly yummy and fun too right?! Let me tell you the real beauty behind these though. 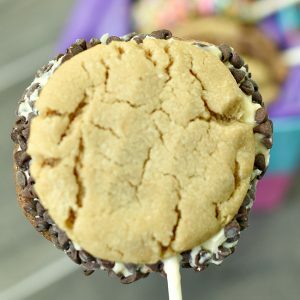 I love making several different types of cookies, getting several flavors of ice cream and a bunch of toppings and then I let everyone choose their combo. Something for everyone! My other main secret with this is to make the cookies ahead and put them in GladWare® and freeze them. This prevents waste of the cookies (since they won’t go stale), and makes it easier for me because I don’t have to bake all the cookies in day. And if you want the honest truth, I think my cookies taste better after they’ve been frozen in a nice airtight GladWare® container and then thawed. Makes them nice and soft and chewy. 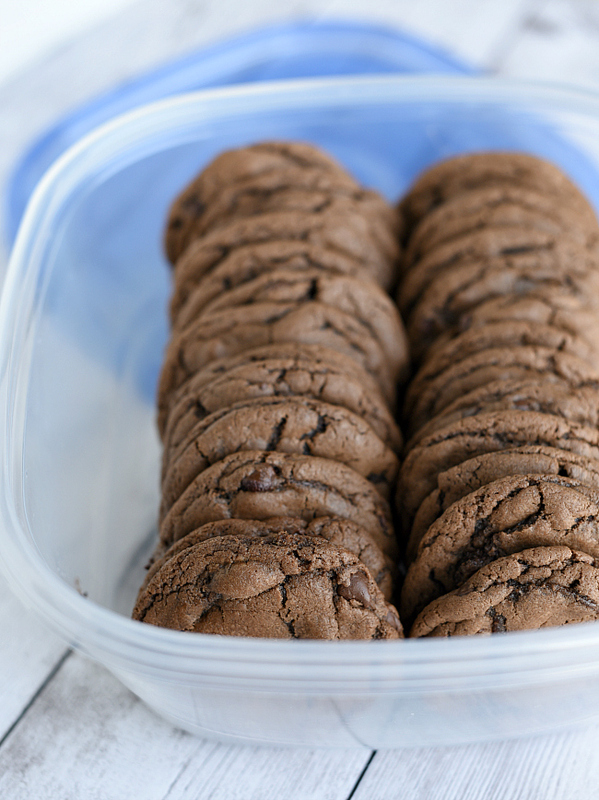 So go ahead, make your cookies whenever it’s convenient for you and then store them in GladWare® until you are ready to use them. And then if you have leftovers you can save them for later and not waste any cookies! So let’s talk about how I made these! Combine ingredients (just like you would with any cookies), roll into balls and bake for 8-10 minutes. Prepare just like you would with any cookie, roll into balls and bake 9-10 minutes. 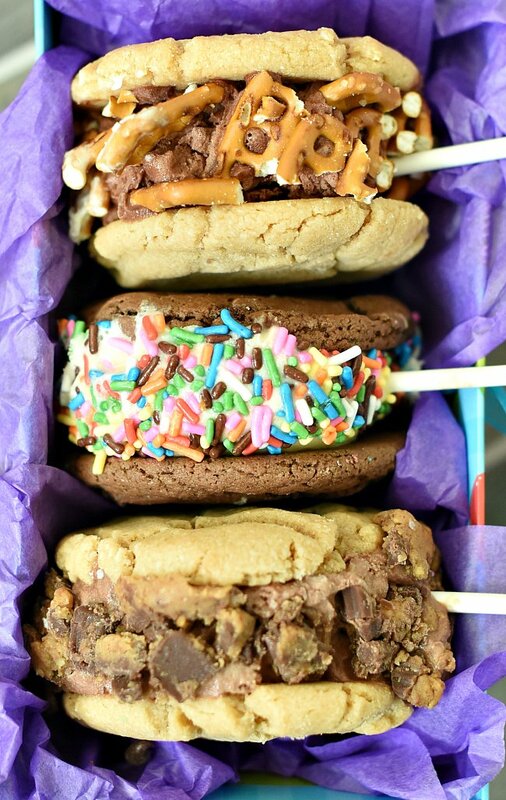 Then make your ice cream sandwiches. So much fun!